Hotel & tourism quality in Spain is one of the highest in the world, however, we still have space to develop in some areas were we have not still such a high position. The Basque Country is offering top quality services for many travellers, specially those oriented to Premium sector, but of course, we have some hotels that fit better with the request level of exigency of the luxury sector, and one of them is without any question, Hotel Marques de Riscal in Elciego. This Hotel belongs to the Luxury Collection Hotel and it has been designed by the American-Canadian architect Frank O. Gehry. 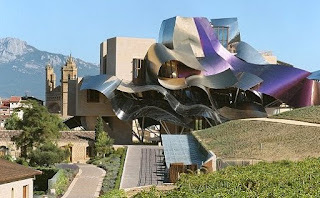 And although it is a top modern design, it belongs to one of the oldest wineries in Rioja wine production area. It gives luxury services with top Basque products in his cellar, restaurant (with 1 Michelin star) and the French Caudalie products that can be enjoyed in their lovely spa. It is a great base to tour in Rioja. 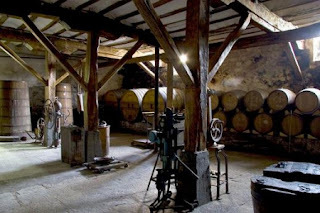 Rioja Alavesa offers many things to do appart of wineries and vineyards. You can enjoy medieval towns like Laguardia or Labastida. There are nice prehistoric remains in the area and old facilities to produce wine in a land which has been producing wine from Roman times. The area has all over the year several festivals (specially after the harvest season) which are a good way to see and enjoy with the locals a good glass of wine and learn about their way of life. You can ask me for details for a tailored proposal for you. But not only that, Hotel Marques de Riscal is great also for day tours to cities like Vitoria-Gasteiz, Bilbao, Logrono, San Sebastian or Pamplona or smaller villages with great character. If you want a day tour around this hilly area with a local tour guide, do not hesitate to contact me.